You’re invited to three days of free coffee and wifi from 1850 Coffee. 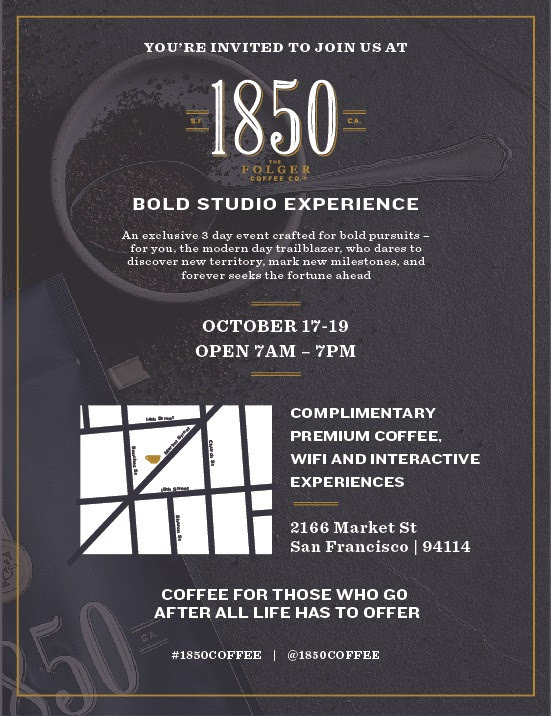 They’ve converted a Castro storefront (2166 Market St.) into a pop-up coffee experience. Expect free coffee, free wifi, an outdoor cafe, photo booth and instagramable promotions. 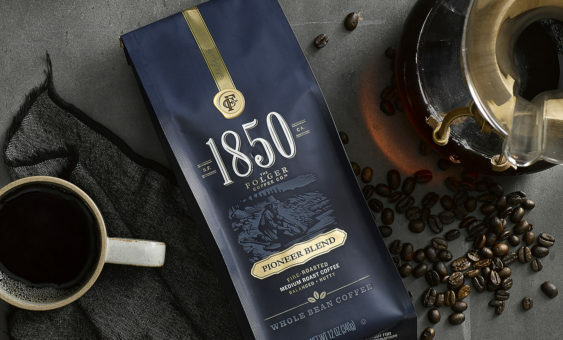 1850 is the new brand by Folgers in an attempt to create a new premium coffee (ground/whole bean/K-Cup/iced coffee) with flavors like Lantern Glow, Pioneer Blend, Trailblazer, and Black Gold.